Designer Balloons Studio, a business specializing in balloon décor and other party supplies, has launched an interactive new website, giving customers the chance to bring a creative vision for their next event to life. The site, www.designerballoonstudio.com, which officially launched last week, allows people to purchase an array of balloons and creative balloon displays including bouquets, centerpieces, arches and table arrangements – at the click of a button. Customers can also choose their own colours, theme or design based on their preferences. 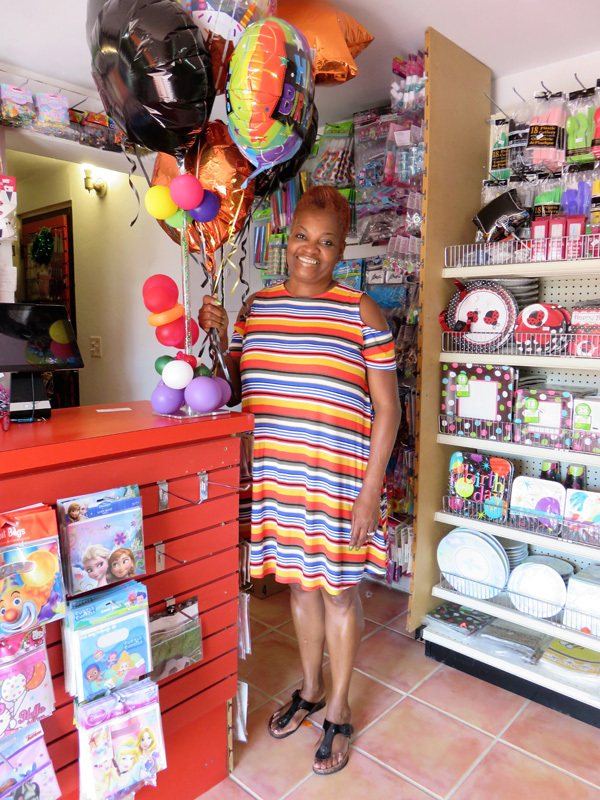 Barbara Spence, Owner of Designer Balloons, called the site “a one-stop-shop” for not only balloons, but also plates, cups, napkins and other party supplies. “Building the site was an important step for us in updating the business and making it easy and accessible for customers to place their orders,” she said. For Designer Balloons Studio the site was especially important after leaving their trademark location on Lover’s Lane in Paget 16 months ago. They are now located further away from Hamilton, in their shop at Tribe Road in Warwick. Immediately after placing an order on www.designerballoonstudio.com, an email confirmation will be sent out to customers. Ms. Spence said the goal was to make the site as simple and user-friendly as possible. Ms. Spence has been running Designer Balloons for nearly 12 years now. She originally worked in the travel industry, but after seeing a trend towards people booking trips online, decided to make the switch by starting a part-time business in party decorating. “I travelled overseas and took a course in balloon décor and decorating and when I returned to Bermuda I was so inspired to get to work in this area part time,” Ms. Spence said. “Shortly after that, I was made redundant in 2005 – that’s when I decided to pursue this passion full time. For more information, visit www.designerballoonstudio.com; Facebook: Designer Balloons Party Store or Instagram: @DesignerBalloons. To place an order, e-mail lindaspence41@yahoo.com or call 236-5103.